Play More Golf. Spend Less Money. All memberships and passes start April 1, 2019 and end March 31, 2020. *Annual Fee. All memberships are valid April 1, 2019-March 31 2020. 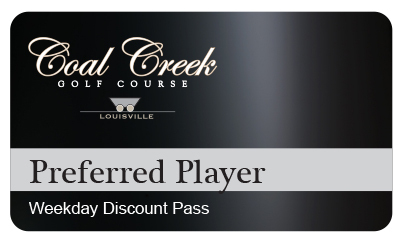 Available Discounts Include: Discount for Seniors (60+), Discount for Louisville Residents,Discount for Millennials (under 30 by April 1, 2019). Discounts can be combined but are not cumulative. See discount price chart for details. *Annual Fee. 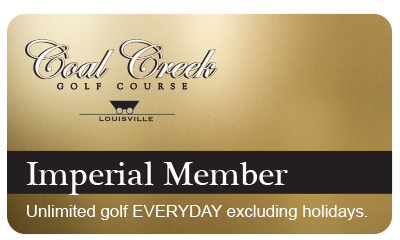 All memberships are valid April 1, 2019-March 31 2020. 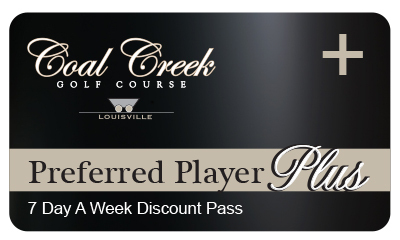 Available Discounts Include: Discount for Seniors (60+), Discount for Louisville Residents, Discount for Millennials (under 30 by April 1, 2019). Discounts can be combined but are not cumulative. See discount price chart for details. *Annual Fee. All memberships are valid April 1, 2019-March 31 2020. *Annual Fee. 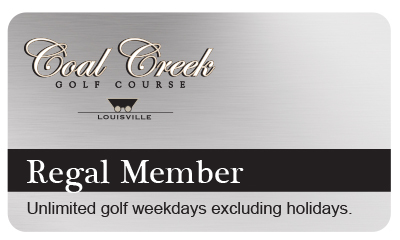 All memberships are valid April 1, 2019-March 31 2020. 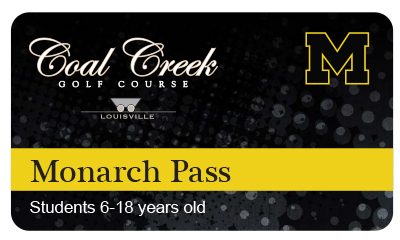 Available Discounts Include: Disount for Seniors (60+), Discount for Louisville Residents, Discount for Millennials (under 30 by April 1, 2019). Discounts can be combined but are not cumulative. See discount price chart for details. Have Questions? Contact the golf shop at 303.666.7888 or fill out the form below for more information.